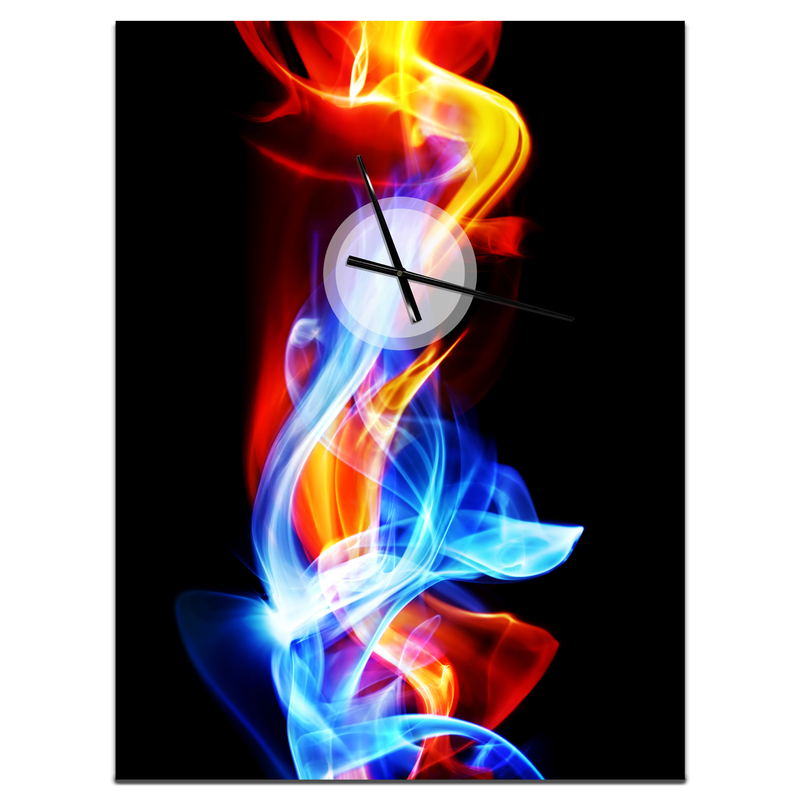 A beautiful addition to any home or office, this wall clock is made on 100% solid aluminum. It has a highly reflective glossy finish creating a sleek modern look. It arrives completely ready to hang on the wall. Simply insert the “AAA” battery included with your order.Available in several sizes, this beautiful metal wall clock will be the focal point of any room. • Mounting brackets and instructions are included. • Ultra Gloss Coating ensures colors are extra vibrant with light reflection. • 1-inch mounting frame gives the illusion of artwork floating on the wall. • Looks better than any photo paper and guaranteed to last at least 20 years. • 1mm Aluminum grade sheet metal.